A world leader in passenger ballooning with an uncompromising attention to quality, service and safety. Awarded the Certificate of Excellence by TripAdvisor in 2017. The area is literally dotted with Roman and Medieval villages surrounded by vineyards and olive groves. A true fest for the eyes and the soul. Take off and fly in the valley of Assisi, Italy often landing at the famous town of Saint Francis. Finish your experience on a high note with a wine tasting and a sumptuous Umbrian breakfast at Cantina Dionigi. In additional to excellent service we also provide one of the best value for money balloon ride in Italy and Europe. Assisi is located exactly between Rome [Italy] and Florence [Italy]. About two hours drive from both cities. Join one of the most experienced pilots in the world! Captain Peter is the perfect person to show you our breathtakingly beautiful Umbrian landscape. He has done over 3500 flights in the last 27 years and has German, Italian, New Zealand and United Arab Emirates commercial pilot licences. 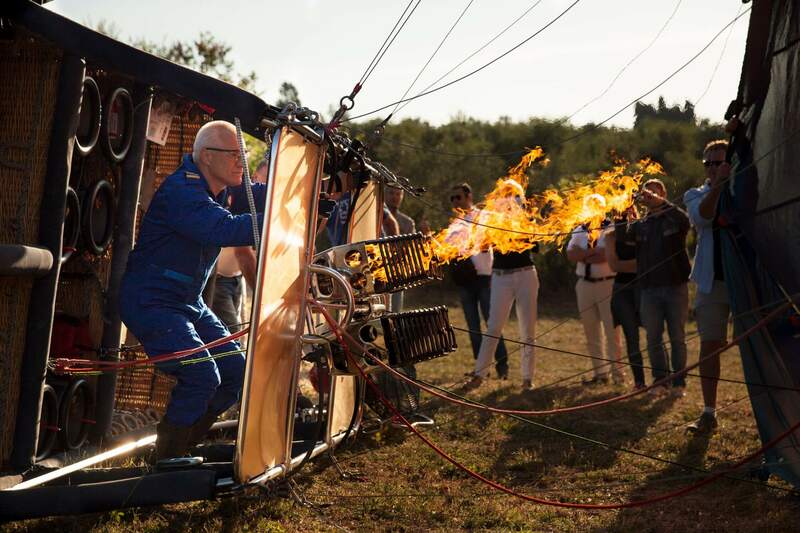 Peter is also a hot air balloon / skydiving world record holder and an instructor. He speaks five languages and happy to share some amazing stories with you over breakfast. 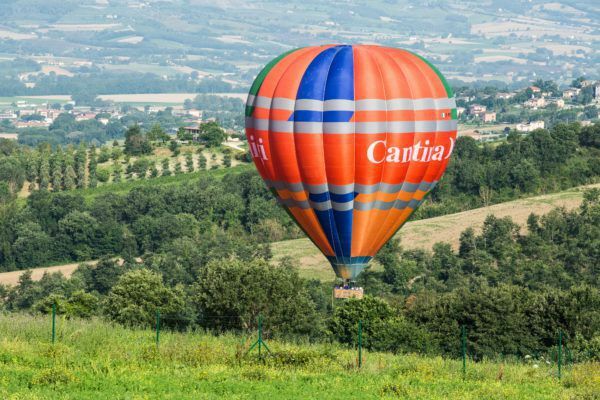 You will start your enchanting Hot Air Balloon Ride nice and early by meeting us at Cantina Dionigi (Via Madonna della Pia, 44 , Bevagna). We can provide, on request, transfers from your accommodation from Assisi, Montefalco, Perugia, Spello, Trevi, Foligno, Bevagna, Spoleto,Todi. Great all around experience! The balloon ride is amazing and the winery breakfast/tour was better than expected. Great experience! Enjoyed every moment. Really professional outfit. 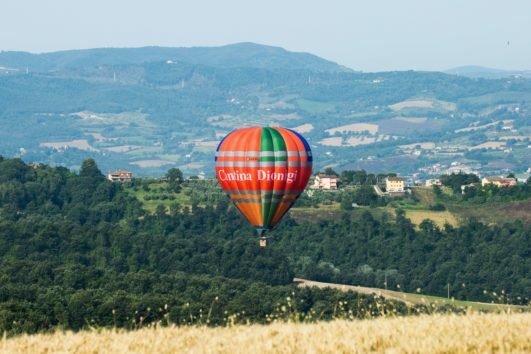 Why take a Balloon Flight over Umbria? Easy! You will be flying with one of the world’s most experienced pilot in one of the most beautiful places in the world. What if I need to cancel my balloon flight? Cancellations are allowed no later than 48 hours prior to the flight. Any cancellation made less than 48 hours before the flight or no-shows will be charged in full. 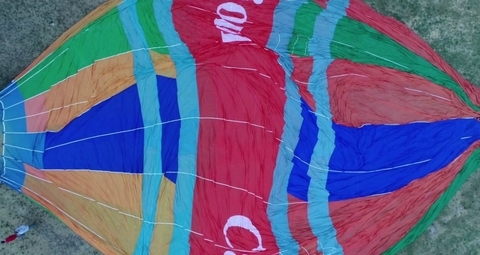 Yes, it is the perfect gift for that someone special to give a surprise balloon flight. You can book and pay online with ease. You can even print your own customized voucher! Wear comfortable sporty clothing. It is advisable to carry a light jacket or cardigan. As you will have to climb in and out of the basket, wearing a skirt or a long dress can get in the way. A sun hat or cap is also a good idea. Avoid wearing high heels and flip-flops. Trainers are ideal.